Every day, there are 3.5 billion Google searches made, which translates to roughly 1.2 trillion searches annually. Nowadays, we search the Google for just about anything: from finding out the latest movies worth watching to making a purchase decision to finding business opportunities and new knowledge. Now, as a marketer, how can we tap the 3.5 billion searches every day, which translates to 3.5 billion potential leads? As you might have guessed, the answer is SEO (Search Engine Optimization). Yet, a lot of marketers and business practitioners are skeptical about SEO, without even understanding the concept behind it. They are not to blame, however, as black hat SEO practices and constant policy changes by Google have ruined SEO's reputation over the years. So as a marketer, you might want to ask: What is SEO? Do I need it? Let us debunk the myths and uncover the facts to answer those questions. Search Engine Optimization is any form of effort done to improve your website ranking on search engines , mainly Google and Bing. This is done by executing on-site and off-site optimization activities. Below, we will discuss these on-site and off-site optimizations further. This is the hard fact for marketers: SEO has been and still is the best form of inbound marketing strategy to date. It provides the best ROI compared to other inbound marketing practices, generating 14% of leads on an average basis. Traditional and telemarketing inbound marketing, on the other hand, only generate 6% leads for both. However, there is another hard truth: SEO can be expensive, on average using 12% of the total marketing budget in big companies. It is also not an easy process, requiring long-term consistent effort to get to the top. However, it will be worth it in the long run. Let us answer this question by doing a little experiment. Now, open SEMrush in your browser. 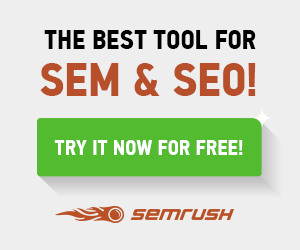 SEMRush is simply one of the best SEO analytic tools out there. There are other options, but let's focus on this one for the sake of this experiment. Now, type in a keyword or two related to your products or services, and click the orange Start Now button. Now, on the next page, look at the ORGANIC SEARCH section on the top left of your screen. Is there any traffic volume for your keyword(s)? Is the volume significant enough? If your answer is yes, then you might ask yourself: Do I need SEO to capture these search volume as potential leads? Most likely, your answer will be another yes. Besides SEO, if the organic search volume is significant for your business, you might want to consider investing in Adwords on the same keyword(s) while waiting for your organic search ranking to grow. Now that you are interested to invest in SEO, what should you do first? Let us take a deeper look at your options. How to Optimize Your Website with On-Site SEO? As mentioned, there are two different strategies to achieve top search ranks: on-site and off-site optimizations. Now, let's focus on the On-Site SEO strategy, which accounts for roughly 20% of your potential success. Remember SEMRush we have used above? You can either use it or other SEO analytic tools like MOZ Keyword Explorer or other options for this step. Make a list of all possible keywords you can think of, which are related to your niche. Analyze all those keywords to figure out what is currently popular or trending in your niche. The number of options might vary greatly between different niches and industries. However, after you've done your analysis, you should get a clearer picture. You should also consider the competition of the keyword: a keyword might have an excellent volume, but the competition might be too tight/expensive for you. A volume of 5,000 with a keyword difficulty of 80 and below is a good start, depending on your industry. Now that you've got the list of the effective keywords, make several as your primary targets and develop contents to optimize the keywords on-site. Contents can come in the form of blog post, landing pages, product pages, or others. The form doesn't really matter, as long as they are engaging and optimized. What you really need to remember is to develop contents for your audience, not for search engines. This is one of the most common mistakes in SEO. Focus on creating helpful and engaging contents instead of stuffing your website with keywords. Make sure to optimize meta tags and descriptions, add images and other media with optimized tags. Don't forget to also optimize the user experience on your site. Now that we have understood the on-site SEO optimization method, let's move our focus to the hard part: the off-site optimizations. Off-site optimization strategies will account for 80% of your SEO success. The basic principle of off-site SEO is very simple: your ranking is determined by the number of websites linking to yours (called backlinks). Who made the links are also important: only real and quality websites will account, and big websites will help you rank better. So, work slowly by building your backlinks. Don't rush, or you will be flagged as practicing black hat SEO. 2 or 3 backlinks per week are sufficient. Here is a nice guide to help you with ideas to build backlinks. Remember, only DoFollow links will count, and not NoFollow links. Understand the differences between both here. DON'T buy backlinks from anyone, and don't use any automated software. You can earn an algorithmic penalty that will last years, effectively rendering any further SEO practices futile. Here are some other SEO techniques you can try. Some will only work with certain niches or industries, while others are universal. There are several Local SEO practices you can try if you are a brick and mortar establishment. Create a pin for your business on the Google maps and optimize it . Aim for online directories and citations, as well as claiming Google My Business. Here is a very nice guide by MOZ for local SEO practices. As mentioned, SEO is a long-term practice. In general, you should update your blog posts at least once every week. Also, consider guest-posting on popular sites of your industry. 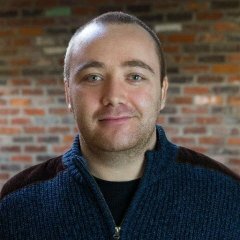 Offer them to contribute contents for free, this is a very nice way to build backlinks and reputation. Expert Roundups are simply one of the most effective forms of content optimization nowadays. Again, this is a very nice guide to get started with expert roundups. If you are selling tangible products or services, you should always aim to get more reviews, especially on Google Maps and other popular website review sites. Simply make your company and products/services as visible as possible. There are a lot of directories and catalogs for just about any industry or niche. After you've got a clearer picture of the SEO strategies you can try, here is one last tip we can give: keep track of your efforts and how they progress. Begin by installing Google Analytics, your most trusty advisor, and the search console to keep track of your traffic, impressions, and ranking. Track your keyword rankings frequently, and always evaluate on what you can improve (and eliminate strategies that are not working). Remember that SEO is always evolving, and you will also need to adjust your strategies to keep up with the times. Quora is a good place to look for currently working strategies by browsing recent replies in digital marketing and SEO questions.